Most brands include a wide variety of paints, including primers, heat and traffic resistant enamels, gloss and matte finishes, metallic colors, and textured paints for home decor. 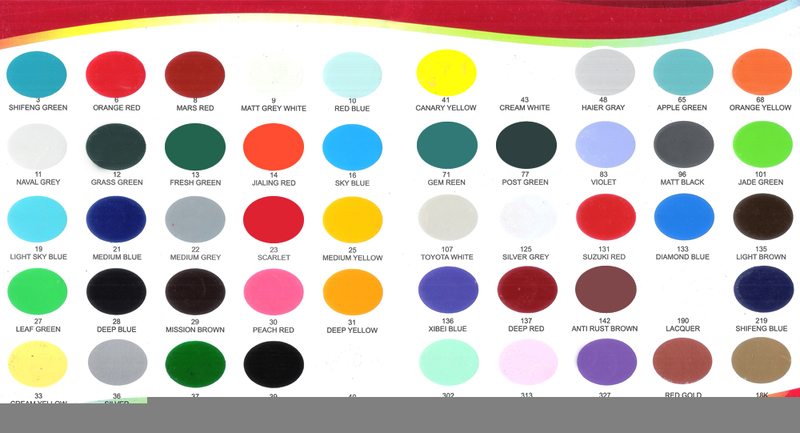 Acrylic-based craft primers can be used on plastics like models or miniatures. 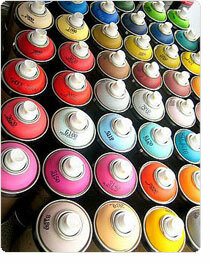 Aerosol paint is useful for quick, semi-permanent marking on construction and surveying sites. Inverted cans for street, utility or field marking can be used upside-down with an extension pole. APWA (American Public Works Association) has standardized colors for utility and excavation markings. Hiking trails can also be marked with aerosol paint trail blazes.